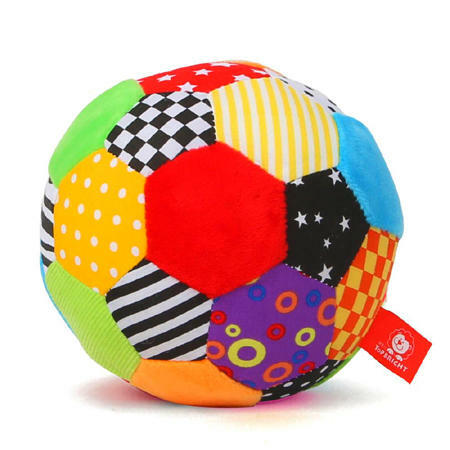 Patchwork Soft Baby Ball is a beautifully soft and colourful material ball. This soft patchwork ball has a lovely subtle jingling ring when shaken or moved. This toy is wonderful to hold, roll, squeeze or throw and a great way to learn to catch. Made of safe tested materials and stuffing this is a lovely safe toy. We like this because: "Simple and classic with a lovely gentle bell."